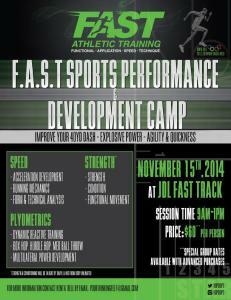 Come out to our clinic on November 15th, 2014 at JDL Fast Track in Winston-Salem, 9am to 1pm. 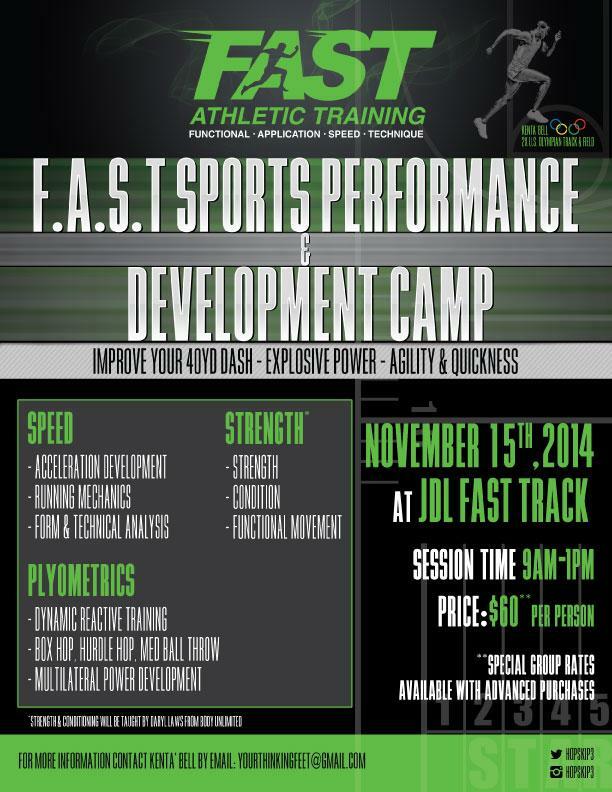 This clicic is open to athelets of all sports and will help develop overall speed, agility, and explosiveness. Please contact me for more information… Daryl. Hello, my name is Kentá Bell 2x US Olympic Triple jumper. I would like to invite you guys to attend my sports clinic that I am hosting with Daryl Laws of Body Unlimited in Burlington, NC. Daryl is world renowned strength and conditions coach that has work with World Champion and Olympic medal winning athletes. Daryl’s strong point is his background with cutting edge functional movement training and neurological training as related to neuromuscular coordination and motor recruitment. In recent years, we have been very successful in our efforts of teaching functional movements as related to speed and techniques based on standing and current bio-mechanical studies that we have been fortunate to carry out in some the best facilities in this country. Our goals are to take the traditionalism and hearsay away from coaching and developing the youth while educating them on what works and why it works. I openly invite you guys to come and take part in the event with us. I am a firm believer that when we share, teach and learn together we become better as a whole.